Custom installations do not use patterned or precut kits. They involve using bulk Paint Protection Film and stretching it across the car, working the film around curves and angles. The final step is cutting away the excess film. This involves cutting on the car! Custom means cutting! We always use patterned kits cut on our plotters as our first choice. Sometimes patterns just aren't available and we have to do it old school. 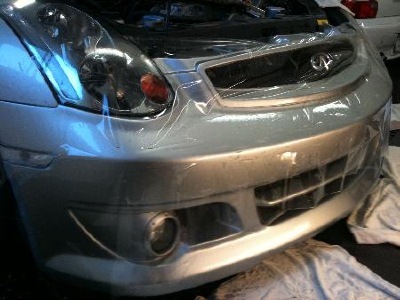 We do lots of custom work on cars with aero kits, custom bumpers and custom hoods. Yes, I cut on the car. There are risks involved with this kind of work, but it is minimal when the installation is done right. It takes a very steady hand. I have years of experience doing this kind of work. Ford Focus with aftermarket aero kit. Paint Protection Film installed on the custom carbon fiber front end, fender flares and mirrors. Carbon fiber race car body. Paint protection film installed on wings and the first 24"of the body. BMW X3 with sport bumper. Kits were not available at the time of installation. This job was done custom, by hand with bulk film. Infiniti G35 with a custom bumper and grill. Also done by hand with bulk film. 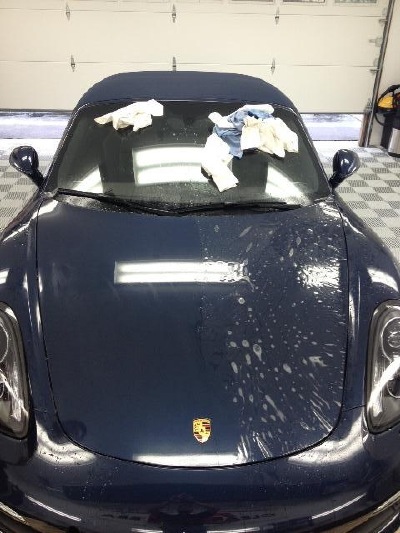 Lately there has been a trend to install film on full body panels including the hood, fenders, doors, rear quarter panels and roof. 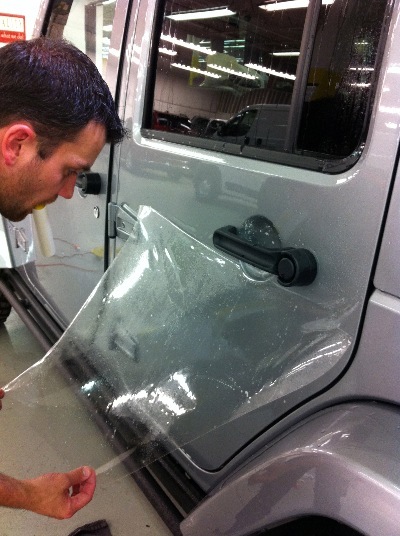 Most customers don't need this level of protection, but depending on your car, driving style and budget, it may be the right choice for you. Jeep Wrangler. Hood, Grille, Bumper, full fender flares, full doors and rocker panels. Top half of this rear door is done! 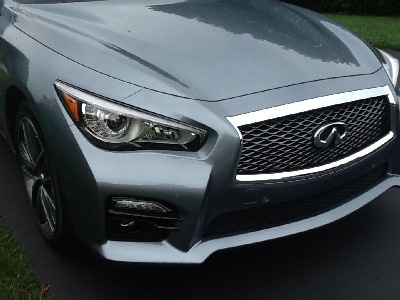 Full Infiniti Q50 front clip. Porsche full hood. Left side is completed. Full hood on a Camaro ZL1. We also did full fenders, bumper, full doors and rocker panels. Full front clip on a Tesla model S.